Neck 12"-16", Width 5/8", Size Small; The collar does not stretch itself, please make sure leave ONLY 2 fingers between collar and dog neck. 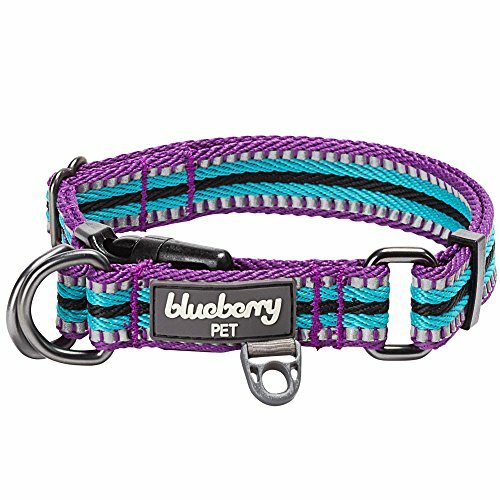 A properly fitting collar and harness won't leave any room for your dog to chew. The collar is not for tie out. NEVER leave your dog unattended with a collar on. This collar is a single product. 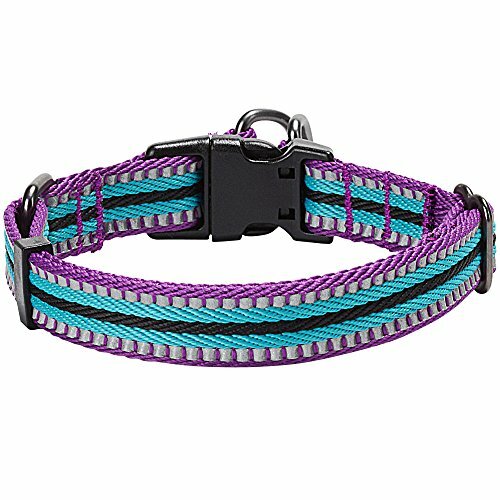 Its matching leash (B01LWN6HZR) /harness (B01M2UN9D8) sold separately The 3M reflective threads are only stitched in part of the polyester webbing. 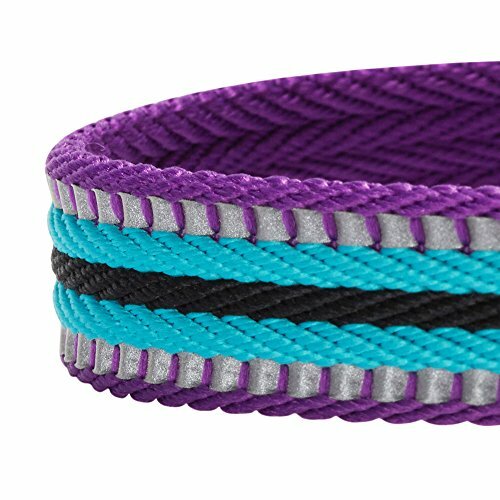 Not the entire webbing is embedded with reflective threads. The black color buckles are made of ecofriendly plastic. The metal D ring is matt grey coated to add durability. 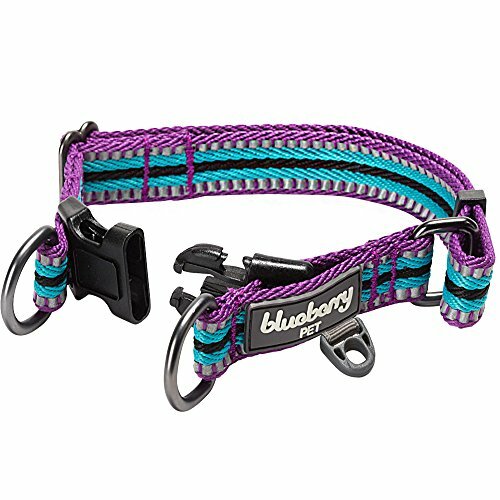 The loop tied to the logo is specifically designed for the purpose of attaching dog charms, tags, pendants or accessories. Please do not attach any dog leash with this loop. 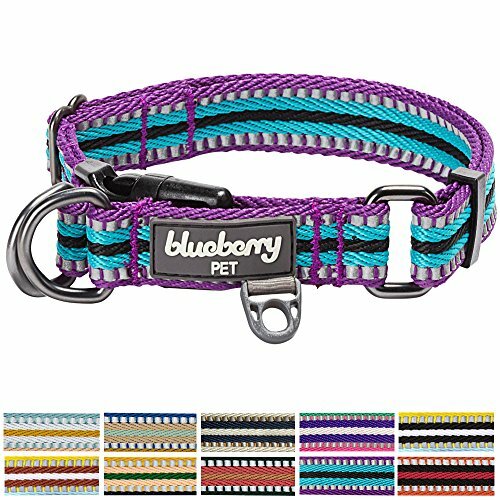 All pictures are taken with our production samples from a size of Medium (Width 3/4", Neck 14.5-20"); Please measure your pets carefully to make a safe and fit purchase. Always look at the size chart for the recommended weight range to confirm the size.